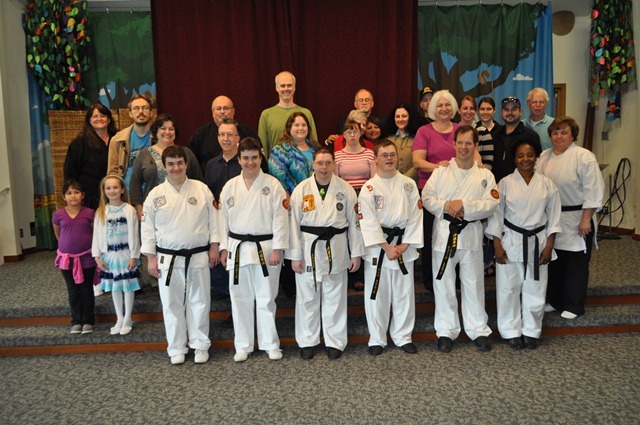 All members of the AUW program have achieved their Black Belt status and we have concluded our program after almost 9 years. This has been an amazing experience and I am grateful for the time and dedication that all of my students have put into achieving their goals. My students have grown into amazing young men and I have been truly blessed to be part of their lives. I would also like to thank my Black Belt friends and mentors who have shared their time and skills with my students: Gail Onustack, Richard Jensen, Shihan Misha Carter, Kyoshi Jim Knoblet and especially Kyoshi Ron Robles. Your involvement enriched my students and I have no doubt that you were touched by them as well. I cannot think of anything that has been more rewarding than this program, with these students. I look forward to hearing about their achievements as they move into the next phase of their lives.